Greetings one and all! And welcome to Chapter 2 of my re-read of Harry Potter and the Sorcerer’s Stone. 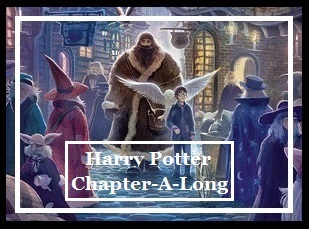 In this chapter, we get our first look at what Harry Potter is really like (since all we saw was a baby in Chapter 1). Here’s my take: Harry Potter is a nice, thoughtful, normal boy (magic aside, of course). As far as I’m concerned, that is a bloody miracle. And yes, in honor of good ole HP, I will be interjecting Britishisms throughout these posts. Because they’re bloody brilliant. Good? Good. Harry has lived with his aunt, uncle and cousin for ten years. That has been ten years of being abused, neglected, and treated like he was dirt on the bottom of their shoes. How on earth did he end up without severe emotional issues? How? The Dursleys never even gave him a bedroom in their house – the poor kid has to sleep in a tiny closet (excuse me, Britishisms here, that’s a cupboard) under their stairs. Not to mention the fact that he is constantly made to do all the chores and pretty much wait on them hand and food. His cousin Dudley routinely beats Harry up at school (which I’m sure goes unpunished). But let’s talk for a second about Dudley. It’s Dudley’s birthday (um, yay?). He has received thirty-seven presents. My birthday is directly after Christmas, and I don’t think I’ve ever gotten thirty-seven presents for those two holidays COMBINED, especially not a whole heap of expensive presents, like a new computer, a second television (emphasis on SECOND), and a racing bike. But this is not good enough for Dudders here, because it’s less than he had last year. He’s about to throw a fit until his mother says that they will buy him TWO MORE PRESENTS so that he has more. Let me tell you right now – if I had acted that way towards my parents, every single one of those presents would have gone back to the store (amirite, Mom? I know you read these!). But instead, let’s placate the little selfish spoiled brat. UGH!! Aunt Petunia often said that Dudley looked like a baby angel – Harry often said that Dudley looked like a pig in a wig. But here’s where we start to see that while Harry is remarkably well adjusted despite the life he has led so far, he’s not the most normal kid in the world. Weird things happen to him. His hair grows back really fast after his aunt gives him a horrible haircut. She tries to make him wear a hideous sweater, but it keeps shrinking until he can’t wear it anymore. He runs away from Dudley’s friends at school and somehow ends up on the roof. Of course, whenever something weird happens around Harry, he is always punished for it, whether there’s any explanation for it at all. The Dursleys are horrible people, let’s face it. I understand that getting your nephew dumped on your doorstep is difficult, but it’s not Harry’s fault! And to treat any child the way that they’ve treated Harry is horrible, but Harry is part of their family! You should never treat family like this! So Harry gets to go to the zoo with the Dursleys for Dudley’s birthday because the lady who was supposed to babysit broke her leg and can’t take him (this is something else that they subconsciously blame Harry for). Also funny – that lady is Mrs. Figg, who we find out later is a MEMBER OF THE ORDER OF THE PHOENIX! !I love the fact that there are these little tiny things dropped into these first books that become blindingly important in later ones. Although, this does beg another question. Mrs. Figg moved onto Privet Drive to keep an eye on Harry, yes? She’s a squib, so she can’t do magic, but she has been in contact with Dumbledore and, as I said, is a member of the Order. Doesn’t she realize that Harry is being mistreated? She can’t be that blind, can she? And if she knows, why doesn’t she alert Dumbledore?!?!? Dumbledore knows about the prophesy at this point, and has known for a while. He knows that, down the road, Harry will be responsible for the final downfall of Voldemort. He knew Voldy wasn’t gone for good at this point, didn’t he? Why did he let the prophesied savior of wizardkind be abused like this? It’s so frustrating, knowing what we know now. But oh well. Moving on. This is where we get the famous snake scene. They visit the reptile house and Harry finds out that he can talk to the snake, sort of. When Dudley and his friend Piers see that, they take over the window to the case where they snake is. The glass to the case disappears and the snake escapes. Naturally Harry is blamed for this too (even though he did technically do it, although he doesn’t realize it yet). The zoo employees can’t explain it, but Piers mentions that Harry was talking to the snake, so that makes him officially a weirdo, right? Later, this will come back, once we learn about Parceltongue, and find out that yes, Harry actually can talk to snakes (and this is unusual, even for magic folk). As Harry is confined to his cupboard for the night as punishment, he tries to remember his parents. Of course, he can’t, since he was only a baby when he came to the Dursleys, but this just made me feel so sad for him. He knows that he has no other family than these nasty, nasty people who treat him so badly. He has noticed over the years that other people seem to know him, strangers who have come up to him and spoken with him or shook his hand. But he has no idea who these people are and they always seemed to fade away (one of these people being Dedalus Diggle, another Order member). It’s sad that Harry looks at all of these people as possible family members that he didn’t know about because he knows nothing of what being in a family is supposed to feel like. This kid! I just want to hug him and give him an ice cream sundae! Aw, pumpkin. It wasn’t a dream at all. So that’s my post for Chapter 2! Is anyone else reading along with me? Let me know in comments! You are right! Say goodby to all the presents if you had acted the Dudley did. I am enjoying your read-a-long. I’ve forgotten all of the details that were left out of the movie. Of course, thanks to your daughter I’ve seen the movie only a million times (slight exaggeration, but only slight) and read the book only a few times. Guess it’s time to break out the brand new set that a wonderful person gave me for Christmas 😉 and read along! You should read along with me. I know it’s been a while since you read these.